Firewatch developer Campo Santo is moving into film development, with an adaptation of the indie adventure game as its first theatrical project. Firewatch developer Campo Santo is moving into film development, with an adaptation of the indie adventure game as its first theatrical project. The team is working with production and financing company Good Universe to create new games and movies, according to The Hollywood Reporter. 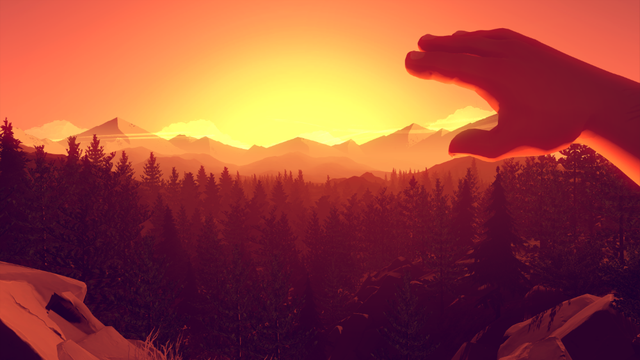 Set in the wilderness of Wyoming, Firewatch won acclaim earlier this year, particularly for its unique sound design. There’s neither a cast set in stone nor a release date for the upcoming film, although Mad Men’s Rich Sommer voiced the game’s lead character, Henry. Campo Santo, a studio composed of veterans from Telltale Games and other story-heavy titles, formed three years ago, and Firewatch is the studio's first release. The game first launched on PlayStation 4 and Windows PC, with an Xbox One version arriving earlier this month. All three versions will receive a new feature: a free-roam mode where players can traipse through the woods at their leisure. There’s also an audio commentary heading to the game at a later date.